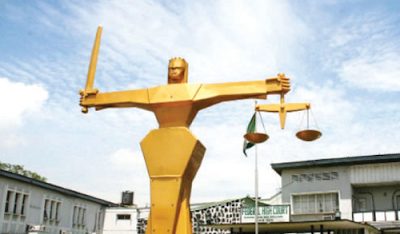 A Federal High Court, sitting in Lagos yesterday sentenced a 35 year old Ivory Coast-based Nigerian, Grou Bi Clauvis, who is also known as Umeme Fabian Lotachukwu, to 10 years imprisonment over unlawful dealing in 1.205 kilograms of methamphetamine, a prohibited drug. Justice Mojisola Olatoregun, convicted and sentenced the convict, after he pleaded guilty to one count charge of unlawful dealing in narcotic leveled against him by the National Drugs Law Enforcement Agency (NDLEA). The convict was arrested by the anti-narcotics agency on March 27, 2017, at the Murtala Mohammed International Airport, Ikeja, Lagos, during outward clearance of passengers on Qatar Airways flight to Doha, Qatar, with 1.205 kilograms of methamphetamine, a psychotropic substance. The offences according to the prosecutor,Abu Ibrahim, are contrary to and punishable under section 11(b) of the NDLEA Act. Cap. N30, laws of the federation of Nigeria, 2004. At the resumed hearing of the matter yesterday, the convict maintained his guilty plea. Consequently, the presiding judge, Justice Olatoregun, ordered the prosecutor to review the fact of the matter. While reviewing the fact of the case, the prosecutor, Abu Ibrahim told the court of how the convict was arrested with an Ivory Coast international passport with the said substance and $400 United State Dollars. Ibrahim also tendered the results of test analysis on the drugs, which was carried out, including his confessional statements and sample of the drug, and were all admitted as exhibits. After reviewing the fact of the case and admitting the exhibits, the prosecutor urged the court to convict and sentence him accordingly. But the convict’s lawyer, Mr. Prosper Ojakovo, in his alucutor, pleaded with the court to be lenient in sentencing his client, as he is a first time offender, and promised not to engage in such act if granted second chance. While delivering her judgment, the presiding judge said: “I have taken into consideration that the convict is a first time offender, and also a young man. “Am mindful of section 11 of the NDLEA Act,which is mandatory, but am going to vary it. It is of the public knowledge that the prison is full, and he is a young man. “The convict is hereby sentence to 10 years jail term or option of N10 million”. Justice Olatoregun also ordered the NDLEA to forfeit the Ivory Coast international passport to the government of Ivory Cost. She further ordered NDLEA to forfeit the sum of $400 USD, found in his possession to the Federal government of Nigeria, and that the money should be paid into the federal government account with Central Bank of Nigeria (CBN).